Business description from prospectus - Shree Tirupati Balajee FIBC is engaged in manufacturing and supply of High Density Polyethylene (HDPE) / Polypropylene (PP) woven sacks, Flexible Intermediate Bulk Container (FIBC). The manufacturing unit of our Company is situated at SEZ area located at Pithampur, District Dhar, Madhya Pradesh. Our manufacturing facility meets the requirements set out in BRC Global Standard for Packing and Packaging Materials and has been achieved Grade A under the said audit. Our manufacturing facility is well equipped with in-house testing laboratory to ensure that the finished products match the quality standards as specified by our customers. We majorly procure our raw materials by our Group Company, Shree Tirupati Balajee Agro Trading Private Limited thereby decreasing our dependency on third party suppliers. Our customer base is spread across the globe with presence in countries like United States of America, United Kingdom, Australia, Germany, Italy, Spain, New Zealand, etc. The majority of our sales are through direct exports which contributed 97.17%, 98.49%, 98.28%, 98.94% and 97.94% respectively to our total sales for the year ended March 31, 2017, 2016, 2015, 2014 and 2013 respectively. 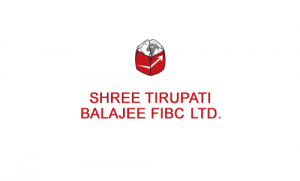 Shree Tirupati Balajee FIBC IPO allotment status is now available on Bigshare Services' website. Click on this link to get allotment status.